Bluffs At Sunset - Don’t miss out, Make an offer today! ! MLS#2019022. Compass Realty & Management, L.
Quail Ridge Estates - Spectacular Property*guard Gated*near Half Acre Of Lush Landscaping*beautiful Curb Appeal*backyard Dreamland Features Pool, Spa, Cov'D Patio W/Fans, Built In Bbq, & Yard Space Galore*upon Entry Cathedral Ceilings Welcome You At The Foyer & Formal Living Rm*exquisite Marble Flring*3 Fireplaces*warm Family Rm W/Built Ins*amazing Kitchen Features Granite, Island, & Brkfst Bar*huge Master Suite W/F/P*3 Lrg Spare Bdrms*converted 3rd Garage* A Must See MLS#1995156. Innovative Real Estate Strateg. Augusta - Backyard features a large covered patio with fans. MLS#1988886. SMG Realty. Parkside Terrace - Large secondary rooms. ACT TODAY DONT DELAY MLS#1987050. Platinum R.E. Professionals. Cobblestone North - Walking distance to multiple points of interest, Including Super Walmart, Smith, Connivence Stores and Northwest Academy HS and Centennial HS. MLS#1986114. Signature Real Estate Group. Millwood Village - Central vacuum, intercom. A Must see! ! MLS#1986076. Bold Step Realty LLC. 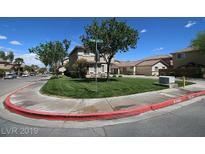 Park Mesa - Minutes from the 215 or 95 fwy, Galleria Mall, shopping & restaurants! MLS#1969644. Platinum R.E. Professionals. 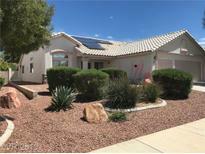 Cherry Hill - Wow Stunning Home In Henderson Rare Find 1 Story With Pool Open Floor Plan. MLS#1951544. Platinum R.E. Professionals. Westwood Village - Don’t miss out, Make an offer today! ! MLS#1950624. 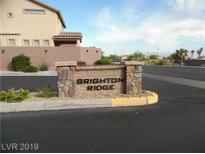 Compass Realty & Management, L.
Nuevo Vista - Jack/Jill Bath To Brm 2-3 Upsatirs, Dwn Brm/Office & Bath. No Short Sale @ List MLS#1936516. Realty ONE Group, Inc.
5 ensuite bedrooms, marble, limestone & hardwood floors, crown & base molding, custom lighting, sweeping romantic staircase, several French doors MLS#1917401. Luxury Homes of Las Vegas. 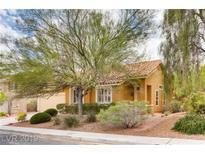 Caparani - Great Home with Downstairs Master Bedroom, Pool + Bonus Room in Legacy Area of Green Valley MLS#1845254. GK Properties.